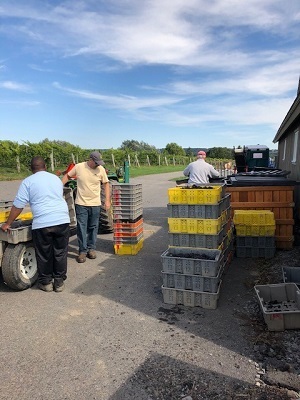 Harvest has arrived at White Birch Vineyards! 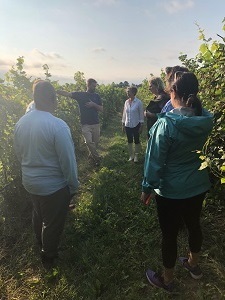 Harvest entails an all-hands-on-deck mentality and precision scheduling to ensure the grapes are harvested at their peak performance; all while negotiating with the weather, the birds and various environmental elements that can affect the grapes. 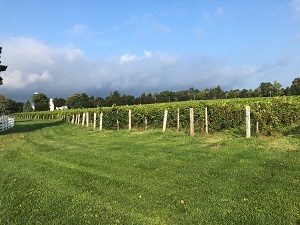 When the weather is perfect to harvest, the vineyard becomes a flurry of activity to arrange for the equipment, machinery and labor to pick those heavy, beautiful clusters from the vines. Harvesting by hand is hard work but allows the pickers to be precise and thorough and ensure that each cluster receives personal attention. 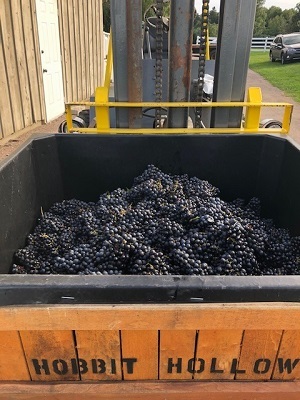 Once picked, these bins of grapes are immediately sent to the winery to be pressed, to ensure the utmost freshness and sweetest juice. 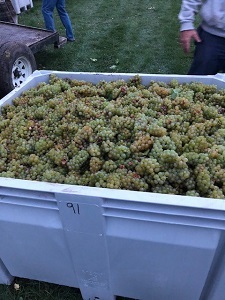 So far White Birch has harvested Pinot Gris, Sauvignon Blanc, Chardonnay, Pinot Noir, Gewürztraminer, Lemberger and is now harvesting Riesling. 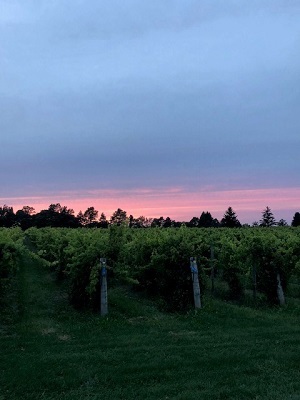 Another long, beautiful grape growing season is slowly coming to a close and the result of the efforts of the White Birch Vineyards staff is in now in the process of being turned into the wonderful White Birch wine we all love so much. 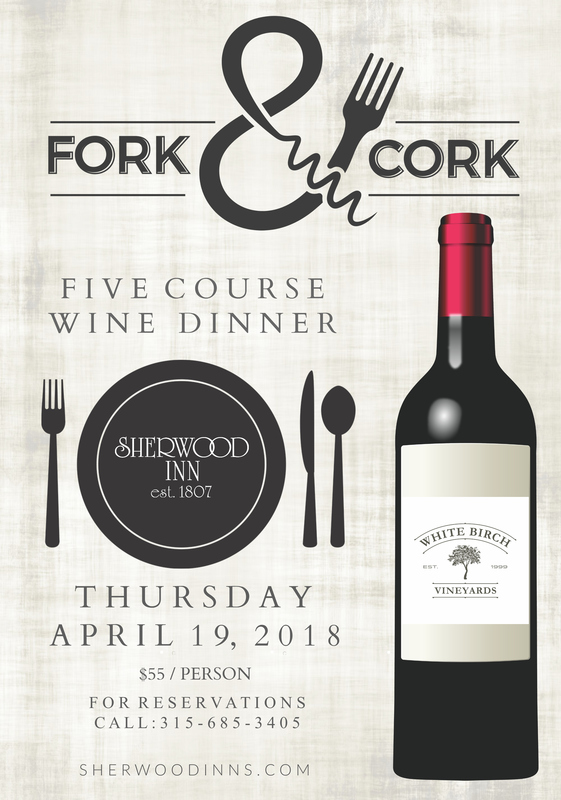 On Thursday April 19th, the Sherwood Inn will be presenting a five course wine dinner featuring White Birch Vineyards wine. 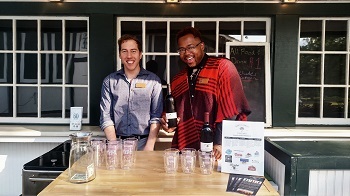 The season is slowly winding down and the preparations for the winter are under way. 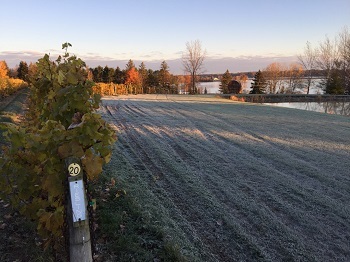 The left most picture is the first frost of the season, which was cold enough to freeze the leaves and close out this growing season. 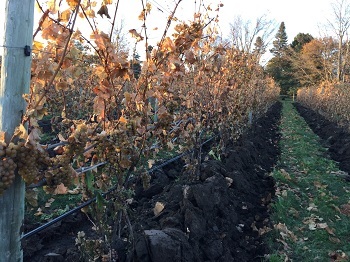 The second picture is the vineyard on the following day. As I type this blog, it is 20 degrees outside and there is an inch of snow on the ground. 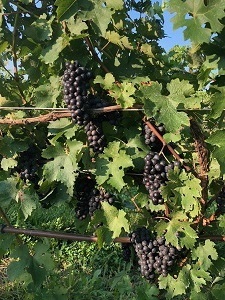 This season's harvest in the Finger Lakes was one for the record books with vineyards producing more grapes than they have in quite some time. The weather last summer during the bud forming stage was good and the winter was mild so the buds lived to produce clusters of fruit. 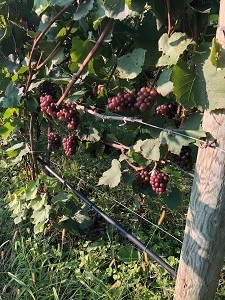 The season started off with more than average rain and then September was dry and warm to help the ripening once again. 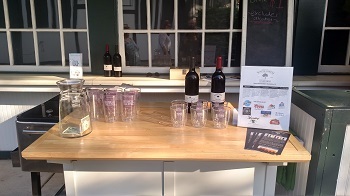 For the last few years good weather in September has helped push the grapes to ripeness. Let’s hope next season isn't just helpful in September but helpful all summer long.